I recently served as a panelist for a “webinar on webinars,” hosted by the Global Forum on Agricultural Research (GFAR). The online event featured seven experts in managing and facilitating all types of webinars, mostly in the agricultural development space, and covered a range of discussion topics, including favorite platforms, getting the right people to attend, speaker prep, lessons learned from failure, and other golden tips for hosting webinars. Check out the recording (here and below) for a wealth of advice from those of us who have been there, done that! Aflatoxin – a naturally-occurring toxin produced by a fungus that infects certain crops – is getting a lot of attention right now in the agricultural development sphere. 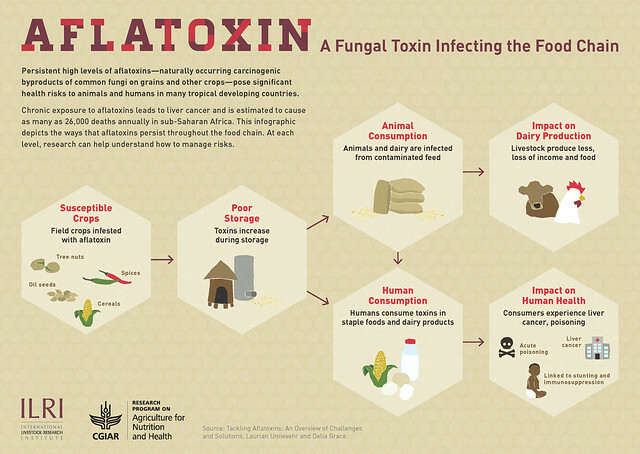 I worked with a small team of USAID staff and implementing partners to develop an infographic on aflatoxin. 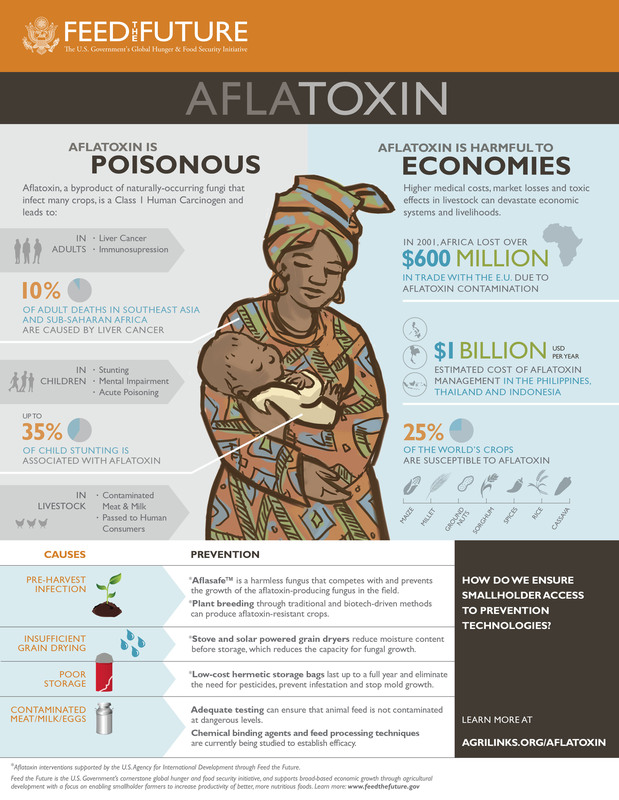 Our goal was to create an eye-catching one-pager that conveys some core messages: 1) Aflatoxin is bad for human health; 2) Aflatoxin has global economic consequences; 3) Aflatoxin is a common/widespread problem; and 4) We can do something about it! This infographic has been shared with a variety of audiences to help spark interest in the topic and elevate it as a priority in international development. I enjoyed the opportunity to practice my on-camera interview skills for the latest entry in the Agrilinks “KM Insights” video series. 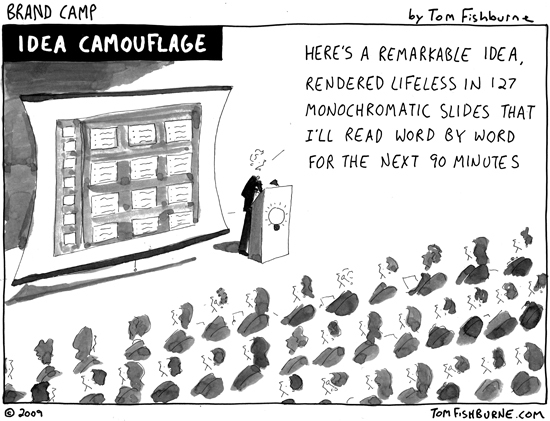 (Two lessons learned: curb the instinct to blink, and don’t wear orange pants!) Watch the video below to get the scoop on Peace Corps Ethiopia’s strategies for supplying its volunteers with the information they need to run agricultural projects.